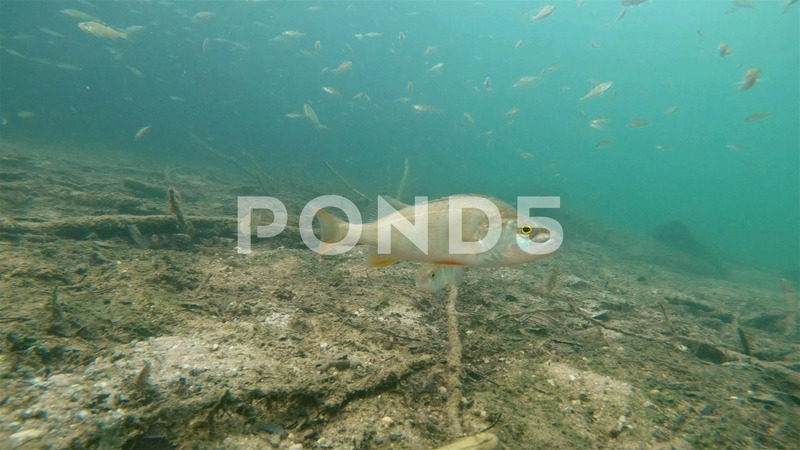 Description: Underwater footage of swimming European perch (Perca fluviatilis). Group of Perches swimming underwater in a flooded trees. Nice fresh water predator fish in the nature habitat.